Airplanes have flight recorders, cars have onboard diagnostics, so why not buildings? Smart Bricks are the solution! So many things we build give us real-time feedback -- Airplane instruments alert pilots, and now some cars intelligently trigger airbags, avoid other drivers, and check blindspots. Why don't building give occupants feedback about conditions? To get building information into the occupants hands, we decided to improve upon the age-old brick. 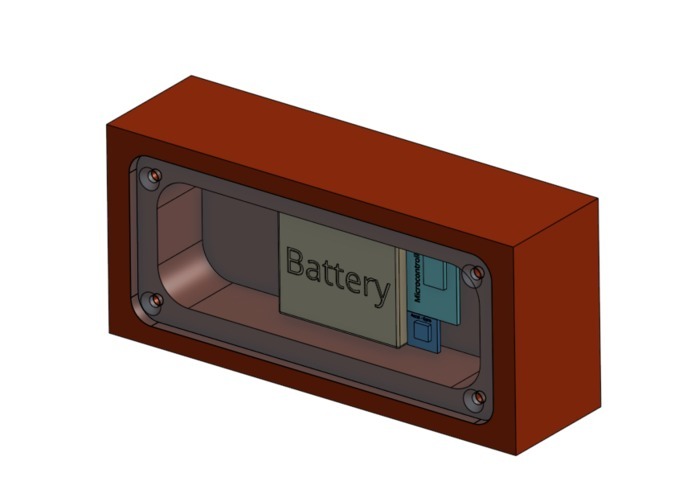 By packing an accelerometer, a gyroscope, a temperature sensor, and a microcontroller into a brick, we're able to give real-time information on whether a building's moving, shaking, sinking, or possibly on fire. We can then update an online page with detailed information on the structure, and trigger alarms if needed. 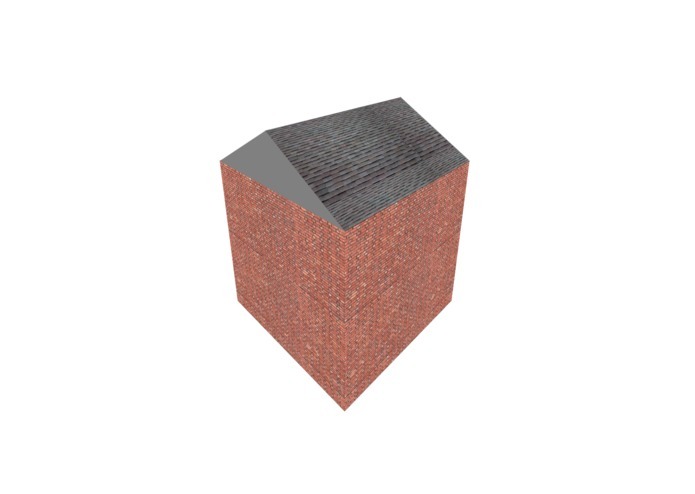 Using a set of these bricks, a computerized mesh of a building or structure is built to visualize the movements of a building. If a building shakes, or sinks, or rotates in any discernible way, that motion is captured and relayed online. Imagine if your skyscraper started sinking? Or a residential home catches fire? Or what if a bridge starts shaking during an earthquake? With Smart Bricks, you'll be able to tell as soon as there may be a problem so a building can be evacuated or the proper authorities called. To build the sensor package, we added a gyroscope and accelerometer module to a Particle Proton microcontroller. 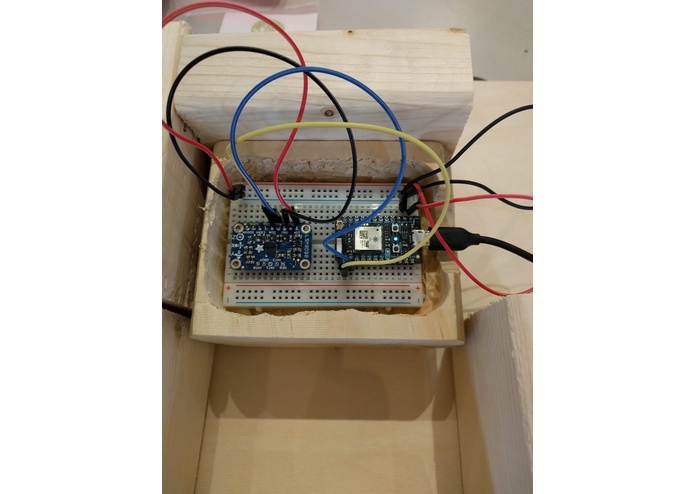 Housed inside of a brick, this device updates a web server with the direction and magnitude of rotation or shaking that's detected. From that web server, we generate a 3d model of an example building, and apply the same movement to it. This way, we can model the real-time movement of a building online, and use that information to show when there's a problem. One of the most challenging aspects to this project was calibrating the accelerometer and gyroscope. We had to write a library to interface between the Particle Proton and the gyroscope, and then convert that information into meaningful motion in the building. The next steps involve making a system of these bricks for better building analysis, as well as shifting from corded power to solar. If there are multiple bricks in a building, then different types of failures can be detected. Individual walls under load, specific portions of a building sinking, or other problems with structural integrity will require more than one sample size. By networking multiple smart bricks, we can give even more information to occupants, engineers, or first-responders if there's a problem. 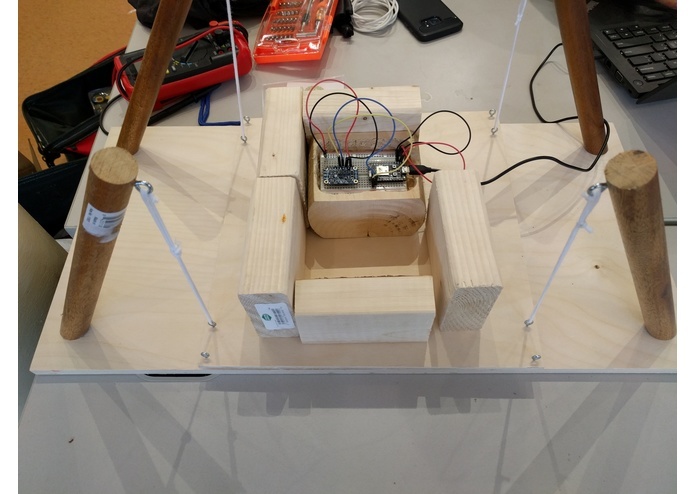 For the first sensor, we've used wired power for ease of programming. 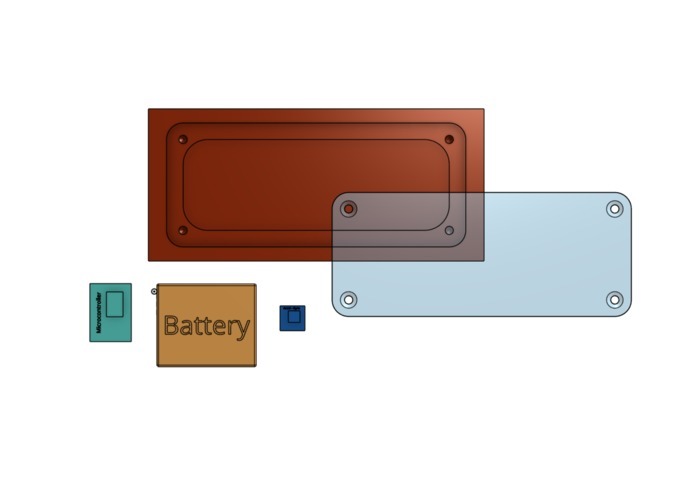 Later iterations will depend on solar-charged capacitors. The solar panel, on the side of the brick, can trickle-charge the system, removing the need for wires. I worked on the client side animation, the CAD, and the earthquake demo. I worked on the server and client sides for the web application. I worked on the hardware and on the integration between it and the frontend via a flask server and sse.